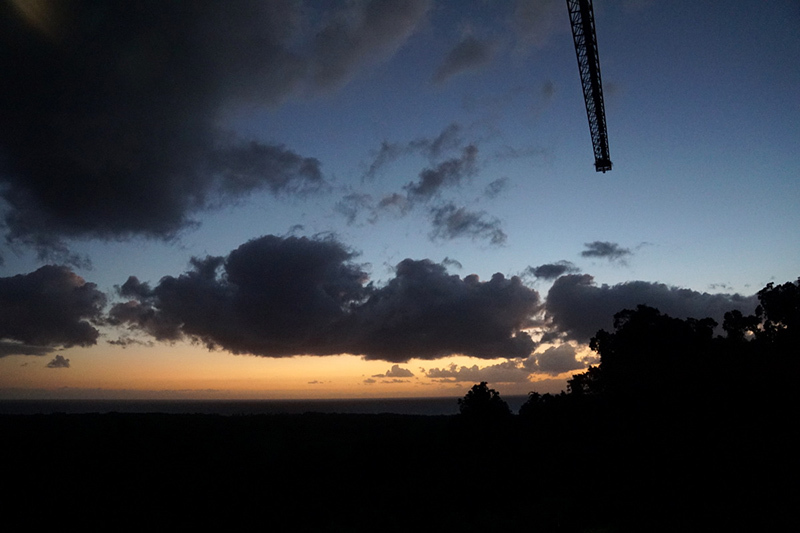 Our research on the limits to the resilience of forests and woodlands to drought takes us to a range of native forests and woodlands across Australia. 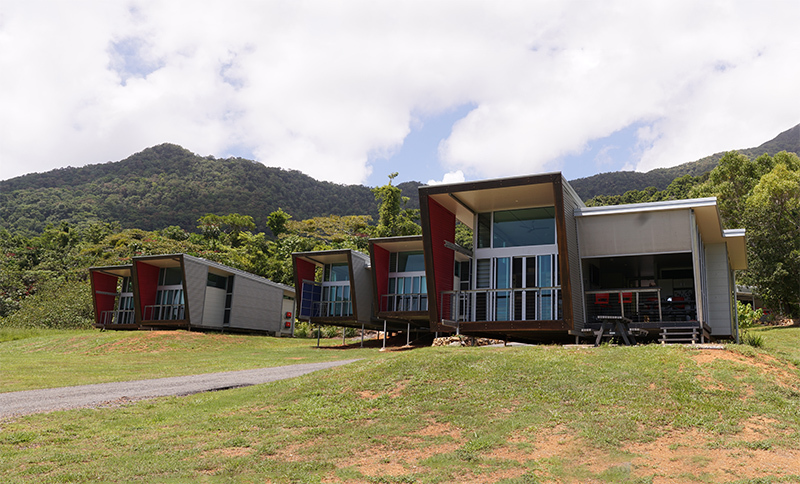 In late November, we visited one of the tropical field sites, Daintree Rainforest Observatory at Cape Tribulation, Far North Queensland. 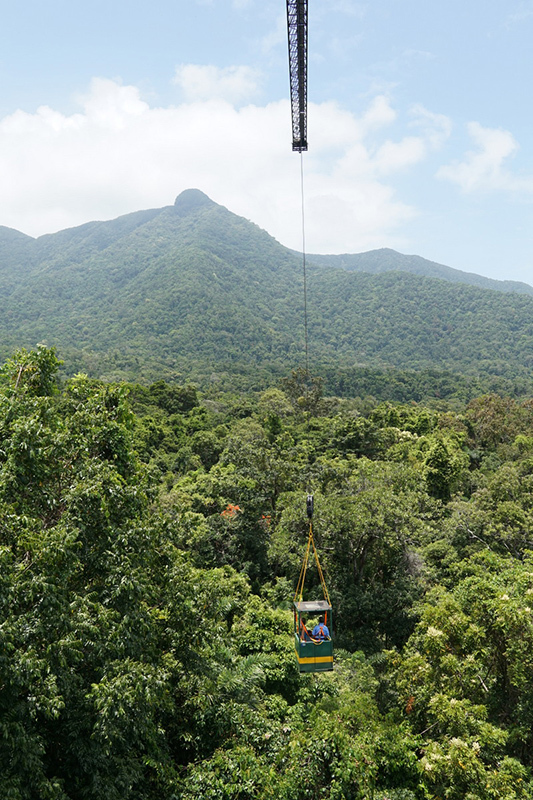 The DRO is a unique research facility, which can provide easy access to the rainforest canopy using a canopy crane gondola (47 m tall, 55 m radius). We studied the vulnerability of stems and leaves of rainforest tree species to drought and other related hydraulics parameters. We were lucky enough to receive a visit from Dr Herve Cochard, aka “The General” of INRA. Herve, a world leader in plant hydraulics, is a close collaborator with the lab and a co-sponsor of Rosana’s Marie Curie Fellowship. 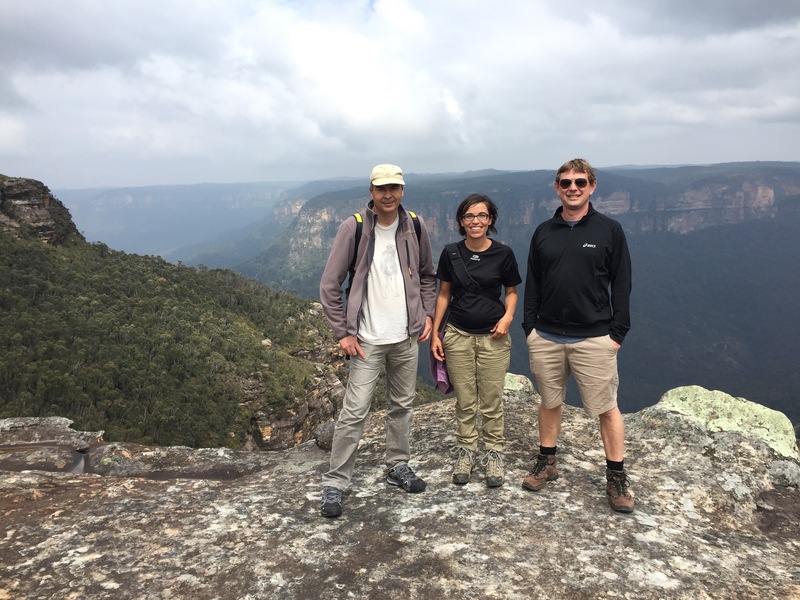 Here we are at Mt Banks in the Blue Mountains NP, NSW. One of the major points of critique for hydraulic measurements of xylem vulnerability and embolism is that they are destructive measurements. In contrast, non-invasive imaging has made it possible to observe xylem function and the spread of embolism in living, intact plants without destructive sampling and associated artefacts. In collaboration with Iain Young and Richard Flavel at the University of New England, Armidale, we recently scanned the stems of young Eucalyptus trees at high resolution using X-ray Micro Computed Tomography (microCT) to visualize the loss of hydraulic function at increasing levels of drought. This allowed us to analyse the species’ vulnerability to drought-induced embolism, and validate hydraulic data using an independent, non-destructive method. 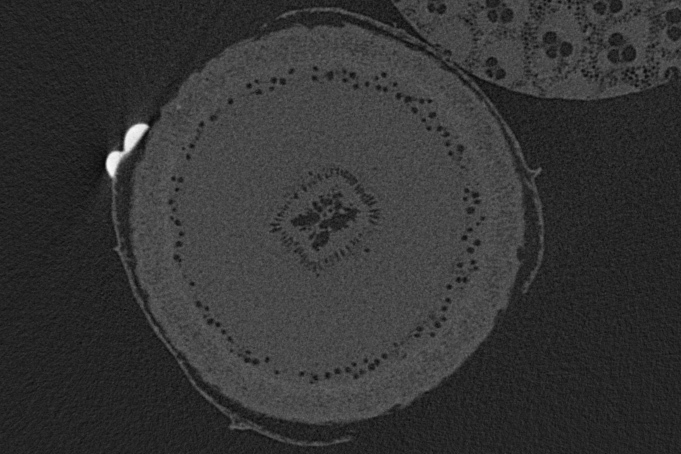 MicroCT cross section of a Eucalyptus stem. Water is one of the most limiting factors for terrestrial plant life. In dry conditions, hydraulic coordination of stems and leaves enables plants to maintain a safe water status and avoid hydraulic failure in the xylem. 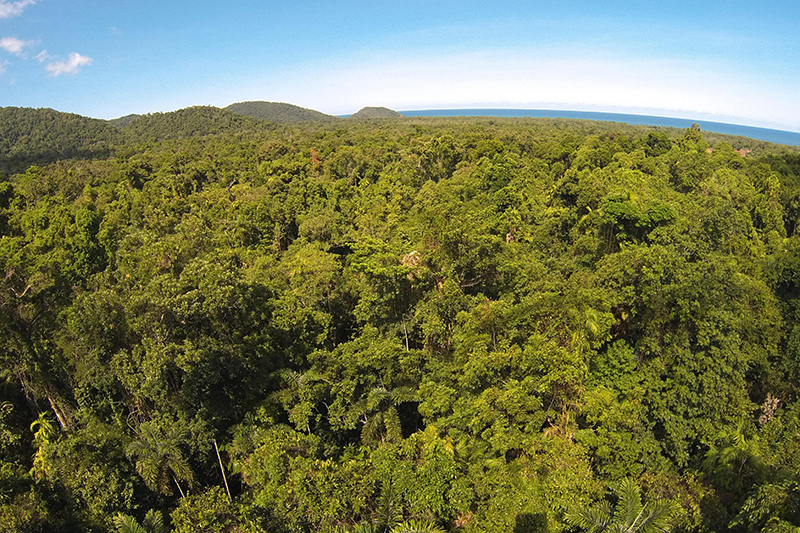 While such relationships have been shown for some tree species previously, little is known about hydraulic coordination in rainforest species which do not typically experience drought and represent a hydraulically understudied group of plants. 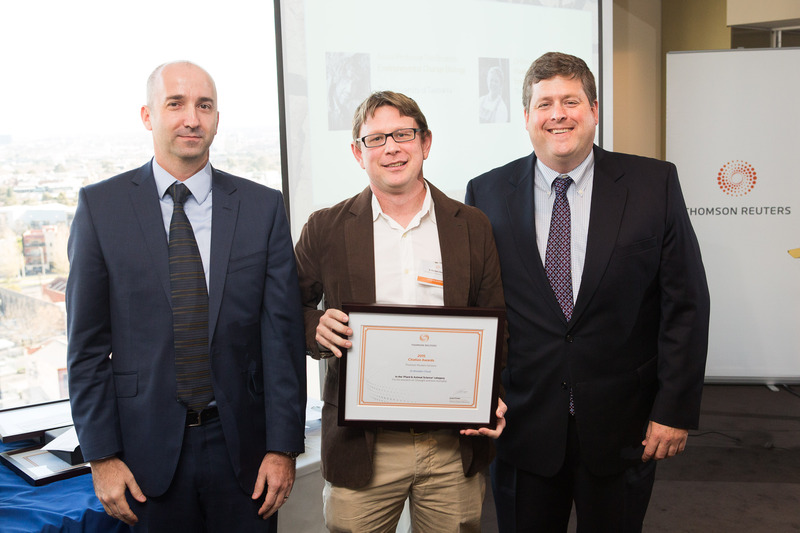 Brendan Choat was awarded a Thomson Reuters 2015 Citation and Innovation Award for 2015. In total, 11 Australian Research Groups were selected to receive Citation Awards in recognition of their outstanding contribution to research. In addition, 8 Australian organisations were recognised for their excellence in innovation. Brendan and his colleague A/Prof Tim Brodribb (University of Tasmania) received the citation award in Plant & Animal Science for their research in “Drought and tree mortality”. See full details at the Thomson Reuters site here.